WHEN I first settled down in Alor Star two decades ago, many of the physical landmarks we now see in the city had not yet been built while some of the old buildings I saw then have since been demolished and new structures constructed. In 1995, the buildings that had yet to be built included Holiday Villa Hotel, Alor Star Parade, The Mall, Tesco Mergong, Tesco Stargate, and Bangunan Ukir. The new shopping mall in the city, called Aman Sentral, was built on an abandoned project site that had become an eyesore in the city skyline. Simpang Kuala (at the southern edge of the city) was being redeveloped, while the road connecting it to Kuala Kedah (gateway to Langkawi) as well as many other streets in the city had yet to be upgraded, widened and improved. Two beautiful mosques within the city limits, one at Jalan Pegawai (Masjid Akar Peluru) and another at Jalan Langgar (Al-Bukhary Mosque) had yet to be built. The unique Paddy Museum, located at Gunung Keriang, was built during the time I settled here and was officially opened to visitors in October 2004. Over the last two decades I witnessed not only new commercial complexes and residential towers (Amansuri Residences by the Belleview Group) being built, but also conservation and restoration works carried out on historical buildings, such as the State Art Gallery (Balai Seni Negeri) and the Kedah Royal Museum in the centre of town. The open space in front of Balai Besar is now a beautiful public square (Dataran) frequented by locals and visitors in the late afternoon, evening and night. In short, over the last two decades, Alor Star has seen not only new development but also redevelopment of brownfields, urban renewal of the city space, and restoration and conservation of historical buildings. Admittedly, the slow pace of urban renewal in Alor Star cannot match the frenetic pace in other cities such as Kuala Lumpur, Johor Baru and Melaka. Take the Kuala Lumpur City Plan 2020 as an example, where 35 potential sites had apparently been identified for urban renewal. Of the number, 15 had been identified as in urgent need of regeneration. They include the PWTC LRT Station, Sultan Ismail LRT Station, Malayan Mansion, Selangor Mansion, Wisma Yakin, Leboh Ampang, Jalan Petaling, Kampung Attap’s government quarters, San Peng and Loke Yew Flats, Pudu Jail, PPR Hang Tuah, Jalan Alor / Tengkat Tong Shin, Jalan Bukit Bintang shophouses, and the Jalan Davis old government quarters. Past urban regeneration efforts include the beautification and “pedestrianisation” of the Old Market Square (Medan Pasar KL). In Brickfields, the old KTM godowns and warehouses complex had been transformed into a modern transportation hub and mixed development now known as KL Sentral. As for Kampung Baru, a special body (Kg Baru Development Corporation, KBDC) was established three years ago, but it is still figuring out the best way to carry out the 20-year project (due to be completed by 2035). Planned to be developed in three phases, the authorities’ ultimate goal is to create a “21st-century Kampung Melayu”. 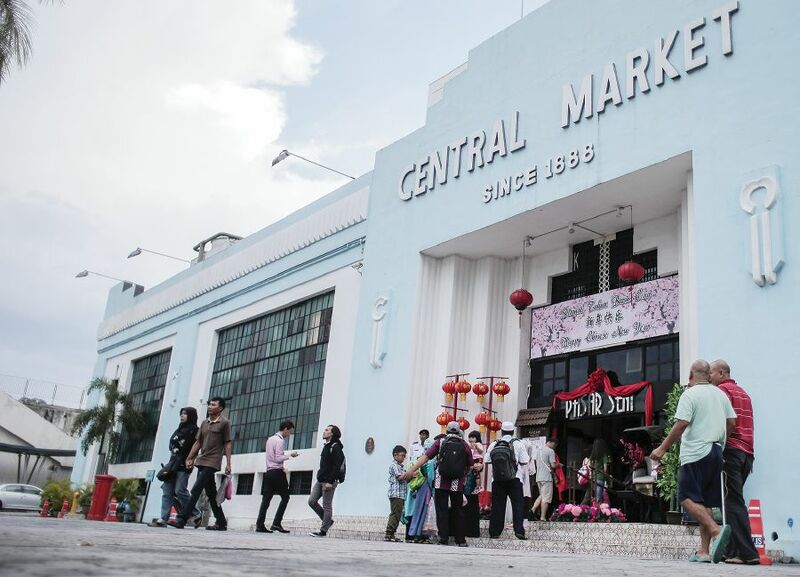 This 111-year-old Malay settlement has a population of 35,000. According to a recent media report, KBDC is in the process of being restructured, and a Kampung Baru Development Cong-ress will be held by the end of this year. The Federal Territories Ministry had announced that it is reviewing the Kampung Baru Master Plan. Other ongoing urban renewal activities in Kuala Lumpur include the Merdeka PNB 118 tower (due for completion in 2020), redevelopment of two former hotel sites (Hotel Equatorial and Hotel Crowne Plaza), redevelopment of Pekeliling Flats as well as the former site of Pudu Jail (the project is now known as Bukit Bintang City Centre, BBCC). For Melaka, its most distinctive urban renewal efforts is the restoration of Kampung Morten (now a tourism icon), after it was declared a heritage village under the state Preservation and Conservation Enactment of 1989. For Johor Baru, mention must be made of the Sungai Segget rejuvenation project some years ago and the current urban renewal project known as the International Ibrahim Business District (IIDB), covering 101.2ha. With so many urban renewal schemes carried out successfully in Malaysia over the last six decades, the question now is whether there is a need for Malaysia to have an urban renewal law. Urban renewal is necessary if cities are to thrive. When cities thrive, the country progresses. Perhaps, such a law is needed. Such a specific legislation had been enacted in several countries in this region, including Hong Kong, Taiwan and South Korea. And most recently, the urban renewal law was revamped in Victoria, Australia. A friend in the town planning profession said there are several provisions in Act 172 (Town and Country Planning Act 1976) that can be resorted to by the relevant authorities if a certain area in the city is to be renewed or regenerated. Among them are Section 16B (Special Area Plan), Section 38 (Declaration of a Development Area) and Section 41 (employing agents, or with menteri besar’s permission, to enter into arrangements or establish corporations). As such, he said we do not need such a specific law. That reminded me of the wisdom of the phrase — “we don’t miss what we never had”. The writer is a former public servant, is a principal fellow at the Graduate School of Business, Universiti Kebangsaan Malaysia. A future environmental planning law? Is America above the law? Does Malaysia need anti-fake law?